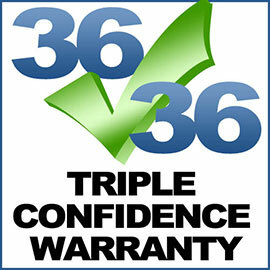 3 Year, 36,000 Mileage Triple Confidence Warranty on Repairs! We are fanatics about quality. We hire the finest talent to service your cars. We use high quality parts and fluids that last longer and are right for your particular vehicle. We utilize the best equipment to service your cars too. All of this shows how serious our commitment is to quality work done right the first time. Nothing says it better than our 3 year, 36,000 mileage warranty. We don't just say our work is great, we back it up with a warranty that is almost unheard of in the auto repair industry. Most shops just give a warranty of only a few months. Our warranty covers both parts and labor for your repairs. Now that's confidence! Click here to read more about our 3year/36,000 mile warranty. Camarillo Car Care Center: Why Replace Your Engine Air Filter?